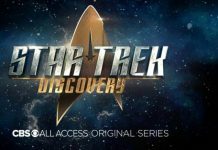 Star Trek fans definitely have something to look forward to this year as the brand new Star Trek series, Star Trek: Discovery will arrive this year. Fans of the franchise have been eagerly waiting for the upcoming series to arrive as this is the first Star Trek series to happen after Star Trek: Enterprise, which ended back in 2005. While fans wait for the upcoming series to arrive, the creators have been busy revealing stuff about it from time to time to keep them hyped up for it. Recently, it was revealed that some new actresses have been added to the cast of Star Trek: Discovery. And they are not some newcomers but are actually some big time actresses. The first one to be confirmed was the award-winning actress, Michelle Yeoh. The actress is said to play the role of Captain Georgiou, who is the captain of the ship. Michelle is known for many of her notable works, and she recently appeared in Mechanic: Resurrection. Along with this, the actress who plays the role of Sasha Williams in AMC’s The Walking Dead, Sonequa Martin-Green has been confirmed to be a part of Star Trek: Discovery’s cast. The actress will play the role of Lt. Cmdr Rainsford in the series. Fort those who don’t know, Lt. Cmdr Rainsford will be working on the Federation’s USS Discovery. The latest addition to the cast of Star Trek: Discovery is the girl from Crimson Peak, Emily Coutts. Currently, there is no word on what role she is going to play, but according to the IMDB page of the series, Emily will reportedly work as a Conn officer on the ship. Although we don’t know whether she is going to be a human or an alien, but she is definitely a great addition to the cast. And being a Conn officer isn’t something bad considering the fact that a Conn officer has always been an important part of the Star Trek franchise. George Takei and LeVar Burton have previously played the role of a Conn officer. Takei played the role of a Conn officer as Hikaru Sulu in the original Star Trek series. Burton, on the other hand, played the role of a Conn officer named Geordi LaForge in Star Trek: Enterprise. 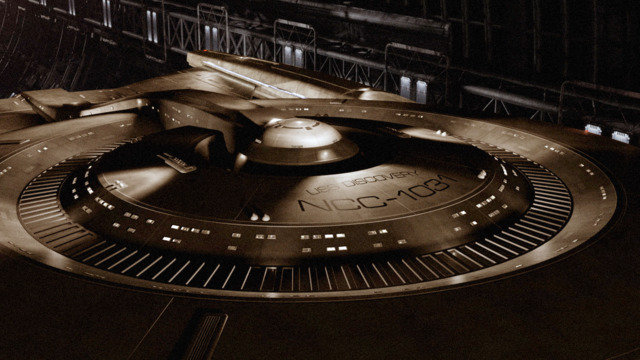 Star Trek: Discovery is currently expected to arrive in May 2017. The first season of the series will feature 13 episodes. Let us know if you’re excited about it or not in the comments below. ‘Star Trek: Discovery’ Premiere Date Update: Why Is CBS Delaying The Series Release?